Christy Foote-Smith’s passion for wetlands began with her childhood explorations of the interdunal ponds along the southern shores of Lake Michigan. She went on and has worked for more than 30 years to protect Massachusetts’ wetlands. Last month Foote-Smith was awarded the 2002 National Wetlands Award for Outstanding Wetlands Program Development. The program honors individuals who have demonstrated extraordinary effort, innovation, and excellence in wetland conservation, research, or education through programs or projects at the regional, state, or local level. As the director of the Massachusetts Wetlands Restoration Program, Foote- Smith has helped develop hundreds of regional wetland restoration projects by creating a variety of programs, writing grants and newsletters and conducting fieldwork. 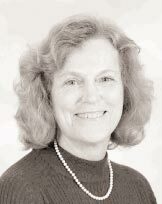 In 1999, she collaborated with government and business representatives to establish the first Corporate Wetlands Restoration Partnership, which funneled $1 million in donations to Massachusetts’ restoration projects. Bringing together local, state and federal agencies, non-profits, businesses, academics and landowners for the common goal of proactively restoring wetlands has been the greatest pleasure of my career, Foote-Smith says. The National Wetlands Awards program is co-sponsored by the Environmental Law Institute, U.S. Environmental Protection Agency, Natural Resources Conservation Service, U.S. Fish and Wildlife Service, U.S. Department of Agriculture Forest Service and National Marine Fisheries Service.